Axios has confirmed Apollo's interest, but it's unclear how it will be affected by late Friday news that ex-Tronc chairman Michael Ferro will sell his entire 25.65% stake to privately-held McCormick Media. Ferro and Apollo co-founder Leon Black are said to be pals, and initial speculation was that Ferro was in some way facilitating Apollo's interest. 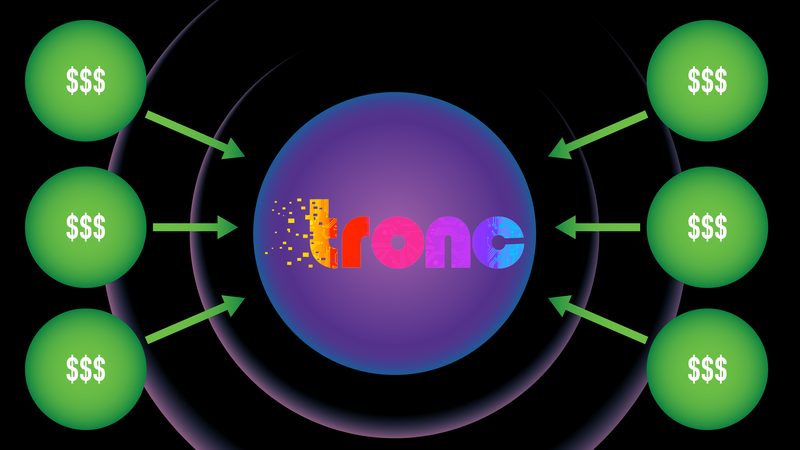 SoftBank is the only other financial firm to have not run screaming from Tronc's bankers, according to a source familiar with the situation. You might recall that Fortress Investment Group, which SoftBank bought last year, is the external manager for the parent company of GateHouse Media, one of the country's largest newspaper chains. Gannett also remains in the mix, and makes the most strategic sense (assuming you accept conventional wisdom that newspaper publishers need scale to survive). And finally there is Patrick Soon-Shiong, who already agreed to buy the LA Times and San Diego Tribune from Tronc for around $500 million. That deal still seems to be on track, although the Apollo leak may have been designed to ensure he doesn't force a downward renegotiation. The bigger question is why he paid so much for a piece when he could have had the rest for just another couple hundred million (including the Chicago Tribune). "No one can believe he didn't buy the whole thing," the source says. • ¯\_(ツ)_/¯ Kia reports that Niv Dror has raised $3 million for his debut VC fund, called Shrug Capital. The focus is seed-stage consumer tech, and Dror will step down as head of marketing for AngelList (which he joined via AL's 2016 purchase of Product Hunt). • While you were sleeping: Coding school General Assembly agreed to be acquired for $412.5 million in cash by Swiss staffing and workforce development company Adecco. The fit makes sense when you realize that a majority of GA's revenue by year-end is expected to be B2B, whereas it was only 15% two years ago. Read more. • The big test for Spotify's un-IPO was to be aftermarket stability, and it's been pretty darn stable over its first nine trading days. In fact, shares closed on Friday within a dollar of where it closed on opening day. • Trade wars: The WSJ reported on Saturday that "China is slowing reviews of multibillion-dollar takeover deals," including Qualcomm's proposed purchase of NXP Semiconductor and Bain Capital's purchase of Toshiba's chips unit. President Trump this morning tweeted that China is "playing the currency devaluation game," even though the Treasury Department's semi-annual report to Congress on Friday said the opposite. Volkswagen said this morning that it's considering a full takeover offer for Navistar International (NYSE: NAV), a Lisle, Ill.-based truck maker in which is already holds 16.9% stake. Navistar's current market cap is around $3.66 billion, with shares up around 5% as of this writing. Why it's the BFD: Because VW has been prepping a 2019 IPO for its trucks unit, and this disclosure suggests a continuation of that plan under new CEO Herbert Diess (who got the job just last week). It appears the plan would be to buy Navistar with the IPO proceeds, although VW also could choose to make the purchase first as a pre-float bulk-up. 🚑 Evelo Biosciences, a Cambridge, Mass.-based developer of monoclonal microbials for treating inflammatory diseases, filed for a $100 million IPO. The pre-revenue company plans to trade on the Nasdaq under ticker EVLO, with Morgan Stanley as lead underwriter. It has raised over $170 million in VC funding from Flagship Pioneering, GV, Celgene, Alexandria Venture Investments and the Mayo Clinic. • nLight, a Vancouver, Wash.-based maker of semiconductor lasers, set its IPO terms to 5.4 million shares at $13-$15. It would have an initial market cap of around $462 million, were it to price in the middle. $86.25 million IPO. The company plans to trade on the Nasdaq under ticker LASR, with Stifel as lead underwriter. nLight reports $1.9 million of net income on $139 million in revenue for 2017. Shareholders include Menlo Ventures (21.5% pre-IPO stake), Oak Investment Partners (20%) and Mohr Davidow Ventures (18.9%). • Smartsheet, a Bellevue, Wash.-based SaaS platform for managing and automating collaborative work, set its IPO terms to 11.6 million shares at $10-$12. It would have an initial market cap of nearly $1.1 billion, were it to price in the middle. $86.25 million IPO. The company plans to trade on the NYSE under ticker SMAR, with Morgan Stanley as lead underwriter. Smartsheet reports a $49 million net loss on $111 million in revenue for 2017, and has raised around $120 million from firms like Insight Venture Partners (32.1% pre-IPO stake), Madrona Venture Group (28.4%), Sutter Hill Ventures (5.4%) and Summit Partners. 🚑 Mylan (Nasdaq: MYL) is disputing a Reuters report that it is in talks to acquire German Merck’s consumer health business, saying the "untrue" report contained "egregious inaccuracy." • Caerus Ventures of Florida is raising up to $100 million for its second hardware-focused fund, per an SEC filing. From 2007 through March 31, 2018, the median EV/revenue ratio was 2.4x (for a total of 567 deals with this data available). The median EV/EBITDA ratio was 16.0x over the same period (for a total of 239 transactions). Narrowing the scope to deals with public company targets since the start of 2010, the median EV/revenue ratio for this group was 3.3x, and the median EV/EBITDA multiple was 23.2x.